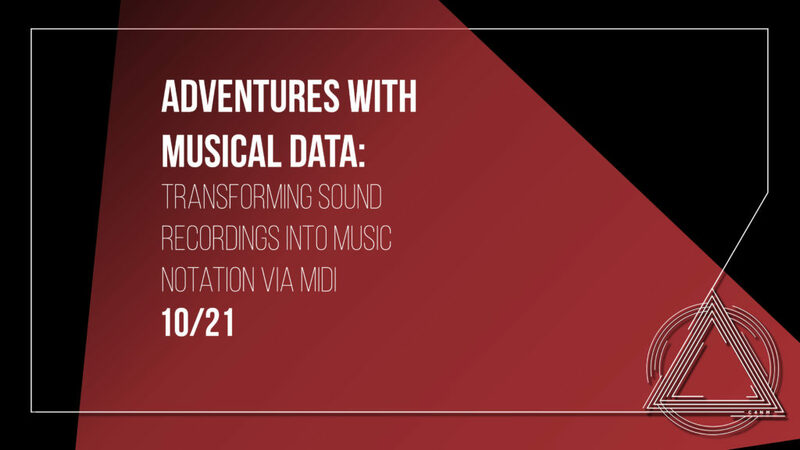 In this hands-on composition workshop, we’ll explore how to transform audio recordings into MIDI information and music notation. In the process, we’ll reverse-engineer Austrian composer Peter Ablinger’s “Deus Cantando” (check out the linked YouTube video), get our hands dirty with sound information in various formats and representations, and come away with some practical knowledge about acoustics, data compression, and pattern recognition. 3. the willingness to collaborate with some strangers, make something new, and share your impromptu creations with the group. If you’re interested in attending, RSVP by email to asness@gmail.com with a brief description of your musical background, interests, and equipment.